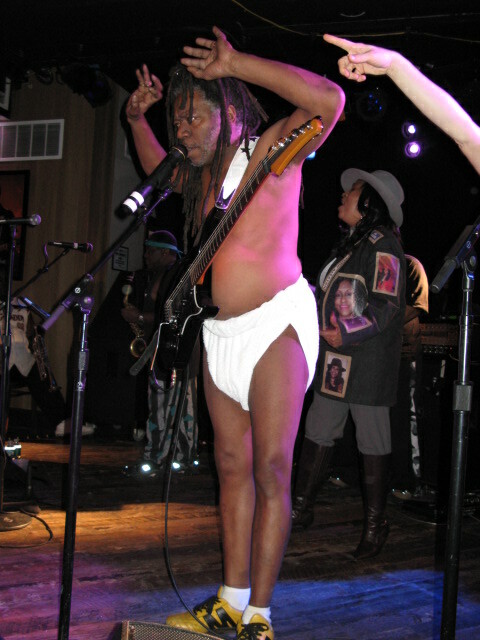 Gary "StarChild" Shider got all diapered up for the George Clinton show at Belly Up. In this picture he's shouting sh*t, g*d d*m, get off your a$$ and Jam. The crowed obeyed.